The Trump administration will propose to severely restrict the number of wetlands and waterways covered by the Clean Water Act in an announcement expected next week. The proposed new definition of "waters of the U.S.," or WOTUS, will erase federal protections from streams that flow only following rainfall, as well as wetlands not physically connected to larger waterways, according to a copy of EPA talking points obtained by E&E News. EPA did not immediately respond to requests for comment. The talking points offer a high-level outline of EPA and the Army Corps of Engineers' proposal to restrict which wetlands and waterways are protected by the Clean Water Act. EPA's formal announcement is expected next Tuesday morning, a source told E&E News. 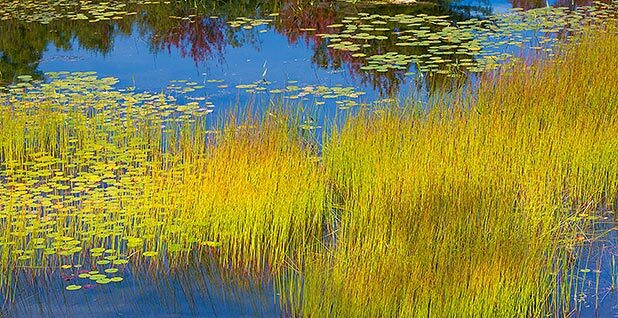 The exact number of wetlands and waterways losing federal protections won't be known until the full, detailed proposal is released. But the talking points offer some clues. "Ephemeral streams and related features" that are wet only after rain events would be completely excluded. The proposal also "covers only adjacent wetlands that are physically and meaningfully connected to other jurisdictional waters." It's not clear how the administration would define "physically and meaningfully connected." But the agencies have set out to write a regulation based on a 2006 opinion written by the late Supreme Court Justice Antonin Scalia, who said the Clean Water Act should extend only to waters and wetlands with a "continuous surface connection" to nearby rivers and streams where it is "difficult to determine where the 'water' ends and the 'wetland' begins." Reporters Robin Bravender, Hannah Northey and Geof Koss contributed.